The world of the web has been constantly dazzling. There are over 1.8 billion pages on the visible web today, most of which provide a certain idea, business, cause or whatever have you on the internet. More and more people are taking interest in the web daily, and content is getting created by the second. You can then see why web development is one of the most flourishing jobs out there. The technology itself is rapidly evolving to meet the demands of the user and exceed it with better immersive UX. This pursuit has led to the emergence of technologies like SPA as industry-leading technologies. Their growth is astounding and the users seem to be very pleased with the new upgrades. Today, we are going to build our own Single Page Application using Angular and Java EE to lay down the steps for your own implementations. 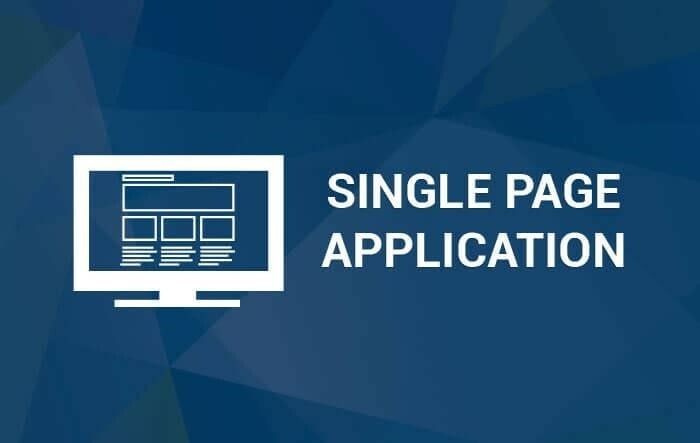 Single Page Application is a design pattern, specifically, an architectural design pattern that determines the program’s flow. The idea is to load the data and elements all at once to prevent the need to refresh the page while the user is using it. You might have noticed for example, that once Gmail is loaded for the first time, it works even offline, and quite quickly too. 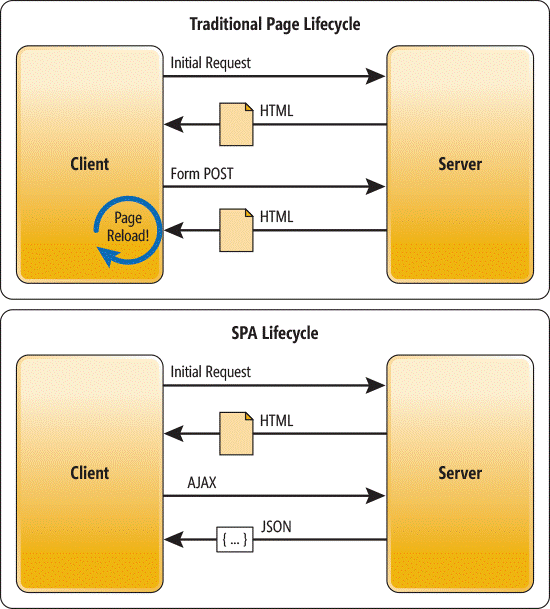 Gmail, Facebook, GitHub and many other applications use SPA to provide the natural UX that maintains an undisturbed usage. The idea is kind of growing into a design direction nowadays, with PWA adapting the same concept of providing the light natural almost offline experience. There are actually many pros of the SPA that make it a favored choice for developers. There are indeed a few cons to using SPA, like the fact that SEO becomes somewhat harder to manage, but we’ll talk about how to solve that after we finish the application. The framework we’ll work with today is the all famous Angular. Well, you might wonder why exactly is everyone getting hyped about Angular. After all, the current standings say that Angular is the ruling king of the JS frameworks kingdom. It’s by far the most used framework and has got one of the largest communities and a ton of documentation out there. 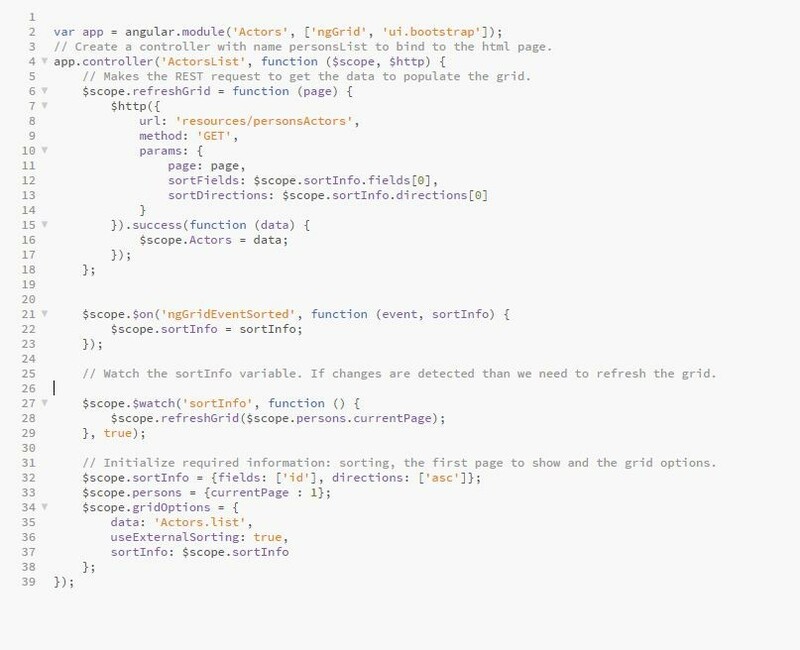 Angular allows us to build dynamic web applications with a two-way data binding. When you’re navigating on an E-commerce website, you don’t want to reload the page every time you check out a new product or other versions of the same product, and Angular allows you to do just that. It’s also easy to build and debug, so testing is made much easier with Angular which is a core step in web development. For this purpose there are many Angular tutorials and courses on the internet on which one can go and seek essential information. Java Enterprise Edition is a grouped collection of robust technologies and APIs used on an enterprise level to build scalable, transactional and distributed applications meeting critical business requirements and constraints. 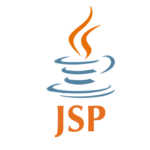 It aims to keep Java development updated to meet the standards of today’s applications. Java EE comes with a huge set of specifications that are deemed to meet your needs. 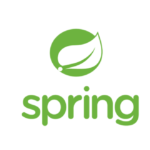 This is why Java EE will be ideal to embark on our journey of creating our first SPA. 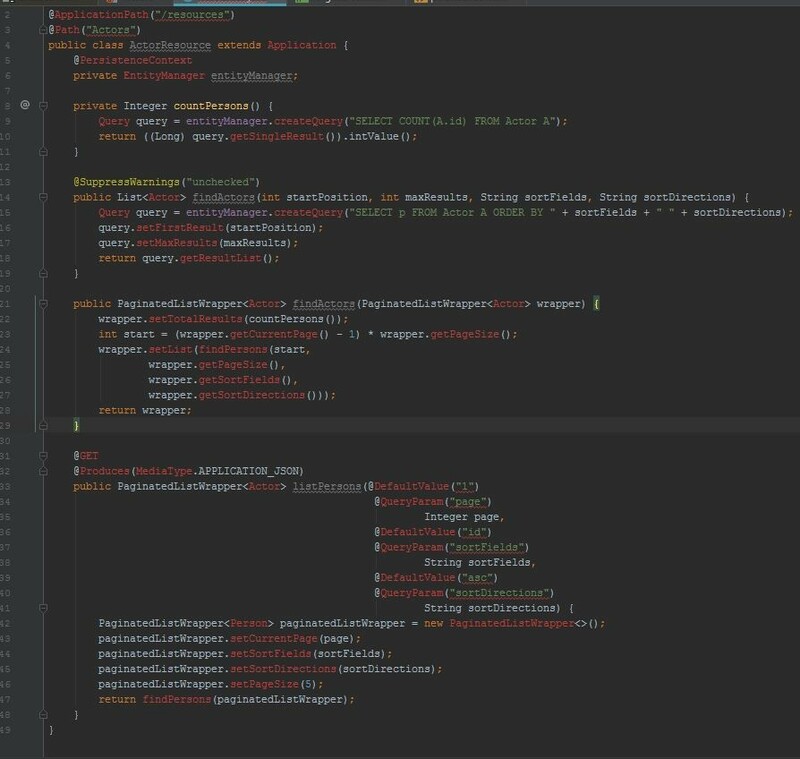 We’ll use Java to create a REST service for our Angular front-end to use. So let’s get started. We’ll design a simple application that displays Actors names and their famous nicknames in a table. Note that some code will be omitted in order not to turn this article into a Java/Angular course and remain focused on the SPA development. The Java Persistence API will allow us to manage and manipulate the data between the application and the server. By using the @Entity annotation, we can model our object class as a database entity inside your database. You might have guessed that @ID sets the primary key for this relation, which is true. We can use the @table notation to specify certain table properties like the unique constraints ( which data members have to be unique i.e candidate keys) and the table name. And the @namedqueries allows us to prepare certain queries to use with the relation. Then we go on building the basic class with constructors, setters, and getters. 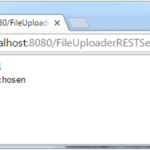 We proceed by creating the persistence.xml file required for the JPA, it looks something like this. 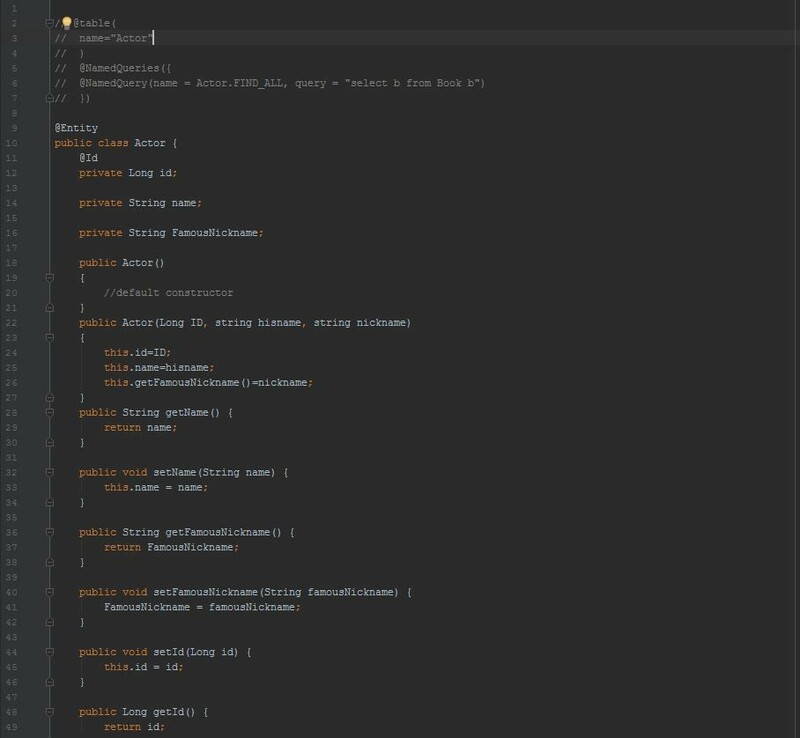 The javax.persistence.schema-generation will allow us not only to run SQL in a natural fashion but also to connect to a data source if we aren’t already connected to one. So it kind of saves you the trouble of doing that. There’s one thing left to do here, which is to create the Resources class to expose this database as a resource class. The @Get notation defines the HTTP Get verb behavior and formats the JSON response in a very nice way. There’s not so much code in an HTML file, which makes Angular quite effective. Angular possess a grid component that we are going to use here, Bootstrap also provides a handsome looking components set that we can use instead. Angular is a very powerful framework and it allows you to create totally different UX with just a few lines of code, which is quite astonishing. Being able to extend the JS front-end with a Java RESTful backend adds more the table, and to your skills as a developer. Angular is rising in popularity and who knows when it might become a development standard, for the meantime, it’s the number one ruling framework in the world of SPA. Remember that the traditional web pages also have their benefits, so you need to decide beforehand which pattern to follow. For example, MPAs are more secure since they involve less client-side scripting, and as we mentioned before they are easier to optimize for SEO. There will always be this kind of tradeoffs in development, and you’ll have to settle on a choice. Nonetheless, SPAs will continue to be a very formidable candidate of choice. Java EE angular, entity, java ee, jpa, SPA. permalink. I am a newbie in Java, but i would like to follow SPA principle of coding.